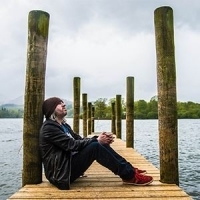 Badly Drawn Boy is Bolton-born, Mercury Music prize-winning singer, songwriter and guitarist Damon Gough. He helped form Twisted Nerve Records with Andy Votel and released his first single "EP1" in 1997. Other successful songs include "Once Around The Block", "Silent Sigh", "You Were Right" and "Born Again". He won the Mercury Music Prize for 2000's "The Hour Of Bewiderbeast".